In this autumnal workshop we will cover the mechanics of creating large scale in-situ designs. We will share our tips, tricks and techniques for building naturalistic installations including floral arches, ceremony backdrops and hanging installations. You will learn how to consider scale, form, and colour blending to create a cohesive, balanced design, as well as the practical knowledge for using frames, chicken wire and concealed water-sources to ensure flowers and foliage remain hydrated throughout an event. 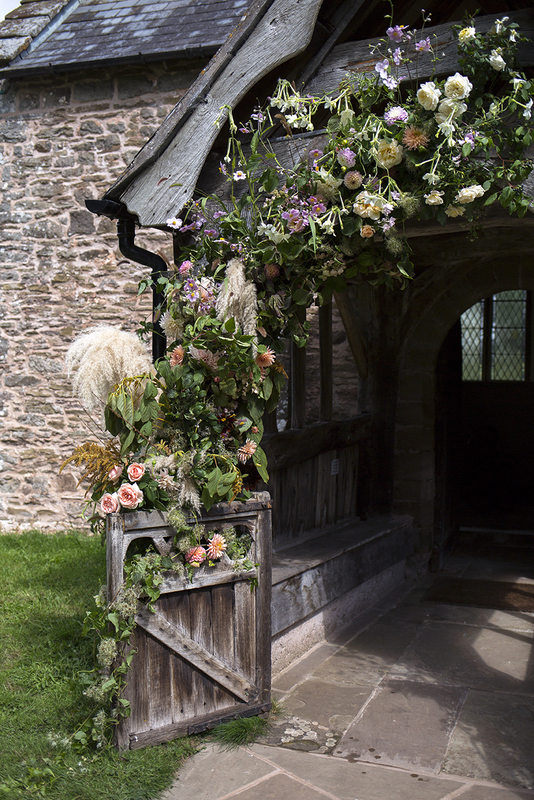 Following an introductory talk on the challenges and benefits of going ‘flower foam free’, we will collaboratively work as a team to a set brief, constructing an organic, rambling ceremony installation of arching branches, autumnal briars and layered seasonal flowers. This workshop will be held at our flower studio in Shepherd's Bush, West London from 1pm to 5pm. Refreshments, all materials, aprons and snips are provided. You are welcome to take flowers home after the workshop to enjoy. Students are encouraged to bring their cameras; the workshop will be a great opportunity to practise photographing flowers for portfolios and social media, and to document an installation taking shape. We will demonstrate how to capture the finished piece for an atmospheric photograph using a DSLR or phone. Places are limited, we keep our workshops intimate so that every student can benefit from individual attention. To book a place, please click here.